The genius of Moyes . . . [is that she] peers deftly into class issues, social mores, and complicated relationships that raise as many questions as they answer. And yet there is always resolution. It’s not always easy, it’s not always perfect, it’s sometimes messy and not completely satisfying. But sometimes it is. Expect tears and belly laughs from Me Before You’s much anticipated sequel. Moyes is at her most charming here, writing with a sense of humorous affection about family dynamics among working-class Brits. . . . a Maeve Binchy for the 21st century. A hilarious, heartbreaking, riveting novel . . . I will stake my reputation on this book. When I finished this novel, I didn’t want to review it: I wanted to reread it. . . . an affair to remember. An unlikely love story . . . To be devoured like candy, between tears. Funny and moving but never predictable. Masterful . . . a heartbreaker in the best sense . . . Me Before You is achingly hard to read at moments, and yet such a joy. READ IT AND WEEP: Heartbreak collides with humor in Jojo Moyes’s Me Before You. There are books that you cannot put down. There are also books where you become so invested in the characters, you force yourself to stop reading to prolong the experience because you don't want the story to end, and that's what can happen when you read Jojo Moyes' latest book, Me Before You. . . . You'll find yourself laughing, smiling, feeling angry and, yes, crying. My only suggestion: Me Before You should be sold with a pack of tissues. Jojo Moyes has written the perfect modern love story. You will be astonished at what you feel, and what you hope for when you are forced to face the possibility of your own dreams. It's that good. Read it now. ME BEFORE YOU is a delicious surprise—funny and hopeful and heartbreaking, the kind of story that will keep you turning pages into the night. Lou Clark and Will Traynor will capture your heart and linger there long after their story has ended. If you are looking for a romantic love story that will leave you in happy tears, this is the book for you! The characters Moyes creates really push the story off the pages and into your head, where you find yourself wondering whether there really is a ‘right’ answer. Me Before You is an unexpectedly touching novel that left me grateful for my own personal autonomy. I just finished [Me Before You] and loved it, a tear is stilling falling down my cheek (know this sounds a bit sentimental) but just want you to know that I really appreciate the opportunity to be in the book world and to be exposed to so many wonderful authors and their work. Just finished the new Jojo Moyes, I think this one will stay with me for a while . . . LOVED it! Two thumbs WAY up. Me Before You —Jojo Moyes gets better and BETTER! . . . I read through the night to see how Moyes was going to finish the tale. Jojo Moyes expertly weaves a bittersweet tale in this irresistible novel, taking careful interest in the dark corners that exist within great love stories, and the trickiness of simple happy endings. Moyes writes delicious plots, with characters so clearly imagined they leap off the pages in high-definition prose. 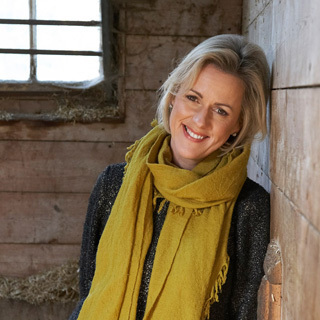 Jojo Moyes builds on her strengths in this moving and accomplished new novel. As she did in the best-selling Me Before You, she asks readers to think in fresh ways about a morally complex issue. . . . The Girl You Left Behind is strong, provocative, satisfying fiction. In this moving paean to daring, determination and perspicacity, Moyes keeps the reader guessing down to the last hankie. In her latest heart tugger, Jojo Moyes deftly weaves the story of newlyweds in WWI France with that of a young widow in today’s London. Lovely and wry, Moyes’s newest is captivating and bittersweet. Moyes has created a riveting depiction of a wartime occupation that has mostly faded from memory. Liv and Sophie are so real in their faults, passion, and bravery that the reader is swept along right to the end. This one is hard to put down! Moyes writes with such clarity that one can almost see the eponymous 100-year-old painting at the center of her wonderful new novel. . . . an uncommonly good love story. Elegiac yet emotionally ablaze, what could have been merely another love story is instead a graceful examination of grand events. With its realistically complicated characters and emotionally complex plot, "The Last Letter from Your Lover" is hopelessly and hopefully romantic. With its realistically complicated characters and emotionally complex plot, The Last Letter from Your Lover is hopelessly and hopefully romantic. Crafting a love story that feels not just compelling but true is a very difficult thing indeed—and yet, with The Last Letter from Your Lover, Jojo Moyes has done it twice. I found myself utterly transfixed by both sets of lovers in this marvelous novel. Moyes is a tremendously gifted storyteller, and I'm all admiration. This story of passion and missed chances—with a twist that provides fresh perspective 40 years later—is entrancing. A prize-winning, cross-generational love story of missed connections and delayed gratification [that] hits a seam of pure romantic gold. . . . A cliffhanger-strewn tale of heartache in two strikingly different eras [and] a tour de force. What’s astonishing about this ingeniously crafted dual love story . . . is how swiftly and effortlessly Jojo Moyes pulls you in. . . . Like an afternoon spent watching a beloved old movie, made wonderfully new. Toggling between two eras, Moyes cleverly juxtaposes the conventions of old-fashioned and thoroughly modern romance. An engrossing double love story . . . a captivating tale of missed connections. The Last Letter from Your Lover is itself a love letter to the all-but-disappearing handwritten message.